After investigating the Florida Alcoholic Beverages and Tobacco Division penalized Average Joes Pub in Jupiter Florida which is located in Palm Beach County, for alcohol violations on March 13, 2017. Average Joes Pub in Palm beach, FL has multiple liquor violations on the report. The most serious liquor violation at Average Joes Pub was REFILLING LIQUOR BOTTLES. The other charges that resulted in Average Joes Pub paying a civil penalty was having gambling machines and for vendor to vendor sales. These fraudulent practices also damage the good will and reputation of a manufacturer’s brand name. Liquor manufacturers spend a great deal of time, money and energy establishing an identity for brands in their product lines. Due to illegal liquor refilling manufacturers, especially of premium liquor are being hurt with what amounts to ‘Counterfeit Liquor’. Florida Alcoholic Beverages and Tobacco Division confirmed Average Joes Pubs involvement with the alcohol violation. The public should be aware of this activity to save themselves from serious incident. Always be alert and don’t assume that your drink is always authentic. 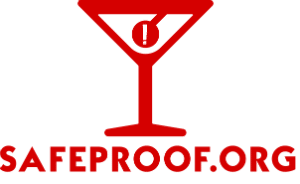 To search for alcohol enforcement and violations use the SafeProof.org map.